On Monday October 21, 2013 as part of New York Digital Signage Week a small event took place in the financial district of New York City which may well have been the epitome of everything that we strive towards with our Thought Leadership Summits. 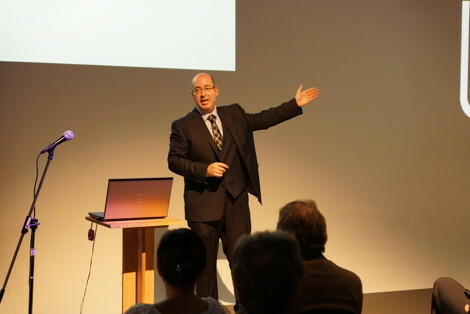 46 people filled the room and listened to seven quick fire presentations kicked off by Ayuda Media Systems’ Andreas Soupliotis (shown above) discussing open source computing. 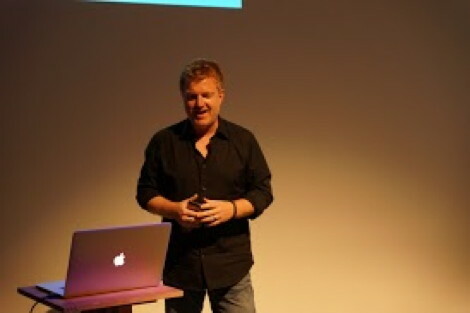 Up next was Show&Tell’s Phil Lenger (shown above) being – well Phil Lenger and giving a super speech on creating compelling content (and ingredients thereof). 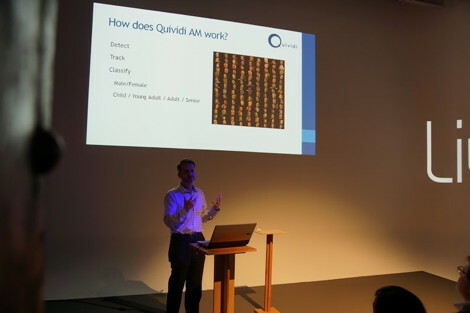 Quividi’s Olivier Duizabo (shown above) spoke about audience measurement and gave plenty of examples on how camera equipped billboards can change depending on what they see. 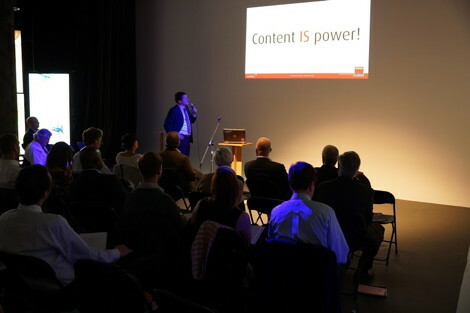 Barco’s Bas van Heek (Barco LiveDots kindly sponsored the event) spoke about power consumption and gave some great advice on how choosing / creating the right content can save a billboard a small fortune in electricity costs. 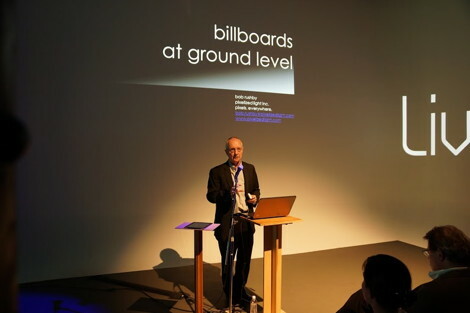 Ending the day was JCDeacux UK’s Tim Harvey (shown above) who flew over from London for the week to show (among many other things), Waterloo Motion, Europe’s largest indoor advertising LED screen which will engage an audience of 92m people per year in one of the UK’s busiest rail hubs. 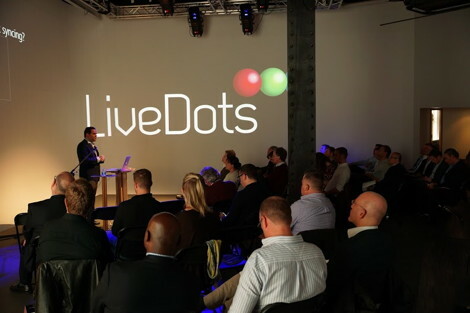 Attendees included representatives from JCDecaux North America, Times Square Alliance, Titan, Van Wagner, Clear Channel, AccentHealth, Eye Corporation, Branded Cities, Eller Media Company, American Eagle, Telecine Multimedia, BroadSign and many others. 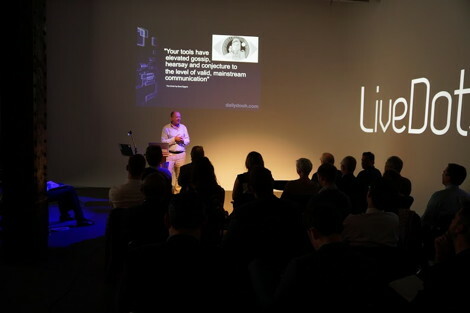 Next up in our Thought Leadership Summit series is ‘Video Walls Unplugged’ which will take place in Las Vegas on Tuesday 11 February 2013 as part of #dse2014. This entry was posted on Sunday, October 27th, 2013 at 13:19 @596 and is filed under DailyDOOH Update. You can follow any responses to this entry through the RSS 2.0 feed. You can leave a response, or trackback from your own site.